The classic 1924 version of “Dante’s Inferno” – meticulously preserved by the Museum of Modern Art – screens at the Getty on Sunday. Admission is free. This week in Hollywood, stars are out for no less than four red carpet premieres: “The Amazing Spider-Man”; the bio-pic Katy Perry: Part of Me”; “Magic Mike”; and Oliver Stone’s “Savages.” Also, the L.A. Film Festival continues; classic films screen at historic venues; and so much more! The L.A. Film Fest presents a “Dirty Dancing” Dance-along at California Plaza at 350 S. Grand at 8:00 p.m. The Latin dance troupe Contra-Tiempo will “shadow” the dancing in the film. Admission is free. Two eerie classic films screen at the Egyptian Theatre: “Freaks” (1932) and “Carnival of Souls” (1962) at 7:30 p.m. The cost is $11.00 at 6712 Hollywood Blvd. The Academy presents “Raising Arizona” (1987) at its new outdoor theater at 1341 Vine St. as part of its “Oscars Outdoors” series. Tickets are $5.00. Disney’s “Brave” (2012) screens through August 12 with a live stage show at the El Capitan at 6838 Hollywood Blvd. Tickets are $16.00-$26.00. “Ferris Bueller’s Day Off” (1986) airs as part of The Academy’s “Oscars Outdoors” series on Vine St. and Ivar. Admission is $5.00. Street Food Cinema presents “Avatar” (2009) at Exposition Park on the lawn outside the Coliseum at dusk. Tickets are $10.00. “Chinatown” (1974) will screen at the Hollywood Forever Cemetery at 6000 Santa Monica Blvd. at dusk. Tickets are $10.00. A James Bond retrospective continues at the Egyptian with a Pierce Brosnan double feature of “The World is Not Enough” (1999) and “Die Another Day” (2002) at 7:30 p.m. Tickets are $11.00. The red carpet premiere of “Magic Mike” takes place at LA Live at 1000 W. Olympic Blvd. at 5:00 p.m. Anyone may watch the stars arrive for free at this L.A. Film Festival event. 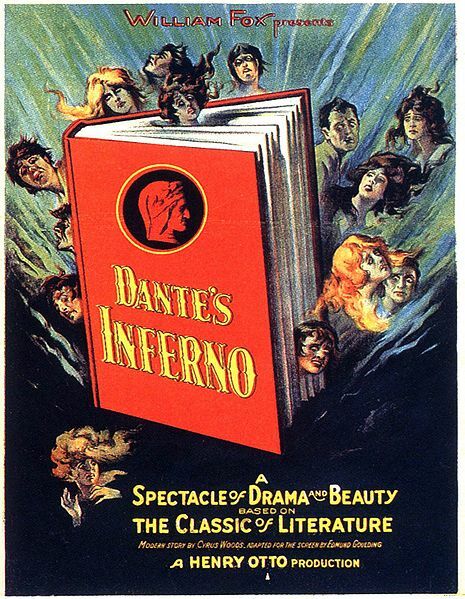 The classic 1924 version of “Dante’s Inferno,” meticulously preserved by the Museum of Modern Art, screens at The Getty at 7:00 p.m. Admission is free but reservations are required. The Devil’s Night Drive In presents “Donnie Darko” (2001) under the stars at 240 W. Broadway in downtown L.A. Tickets are $10.00. Step back into 1950s-noir with a double-feature screening of “L.A. Confidential” (1997) and “Devil in a Blue Dress” (1995) at the New Beverly at 7165 Beverly Blvd. Admission is $8.00. It’s the red carpet premiere of Oliver Stone’s “Savages” (2012) at the Regency Village Theatre at 961 Broxton Avenue. Anyone may watch the stars arrive for free at this L.A. Film Fest event. “Katy Perry: Part of Me” will host its red carpet premiere at Grauman’s Chinese at 5:00 p.m. at 6925 Hollywood Blvd. Anyone may watch Ms. Perry and other stars arrive for free. The Academy presents a new, full-length print of “The Life and Death of Colonel Blimp” (1943) at the Samuel Goldwyn Theater at 8949 Wilshire at 5:00 p.m. Thelma Schoonmaker, film editor and widow of the film’s producer Michael Powell will appear. Tickets are $5.00. “Robin Hood” (1922) starring Douglas Fairbanks will screen at the historic Orpheum Theatre at 842 S. Broadway as part of the Los Angeles Conservancy’s “Last Remaining Seats” series. Film critic Leonard Maltin will introduce the film at 8:00 p.m. Tickets are $16.00. The red carpet premiere of “The Amazing Spider-Man” (2012) takes place at the Regency Village Theatre at 5:00 p.m. Anyone may watch the stars arrive for free.